Hello fashionistas! Being a Girl of this style conscious era, do you think, having the best of the branded outfit makes your look complete? Off course not! Every single touch up matters. Look at your hands; aren’t they a part that gets noticed? How come leaving your manicure ignored won’t spoil your look? No worries dear girls! 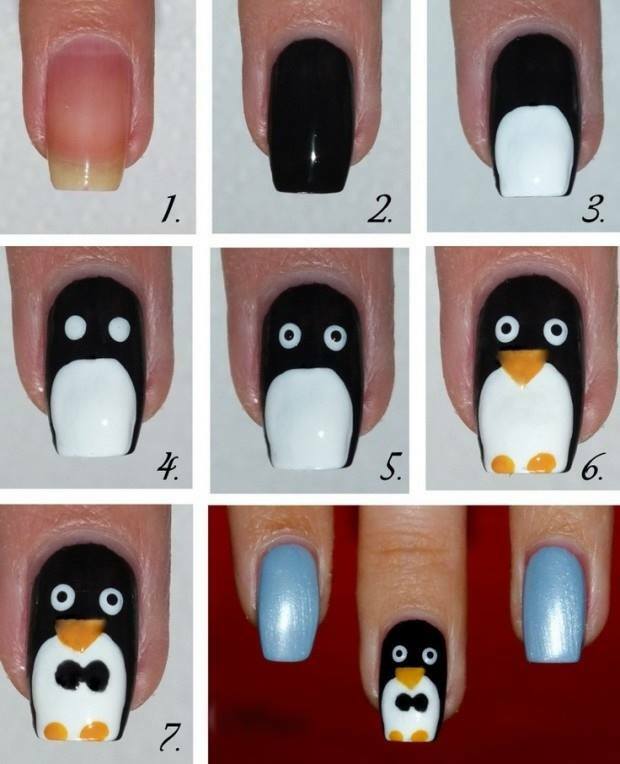 I’ve come up with simple and easy set of instructions to adorn your nails with different manicure ideas. 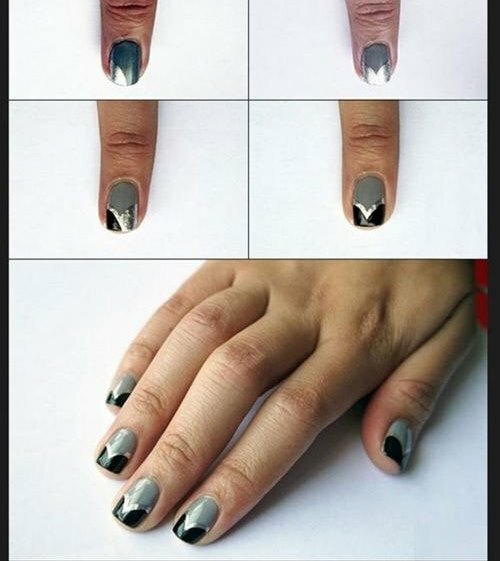 Scroll down to gaze at the awesome Step by step tutorial of easy and simple nail arts with pictures for beginners to try! So, what’s the top priority? 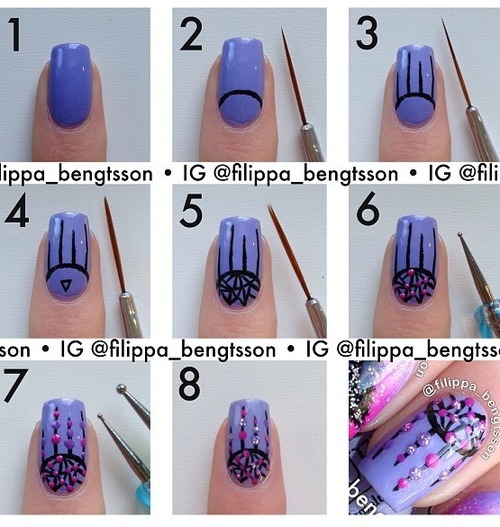 It definitely is to know that the nail decorations have various types that can be drawn using a variety of techniques. Follow these steps posted below step wise to get an amazing designs & art. The steps down here would try to reveal most of them for you, let’s start! Start with the choice! 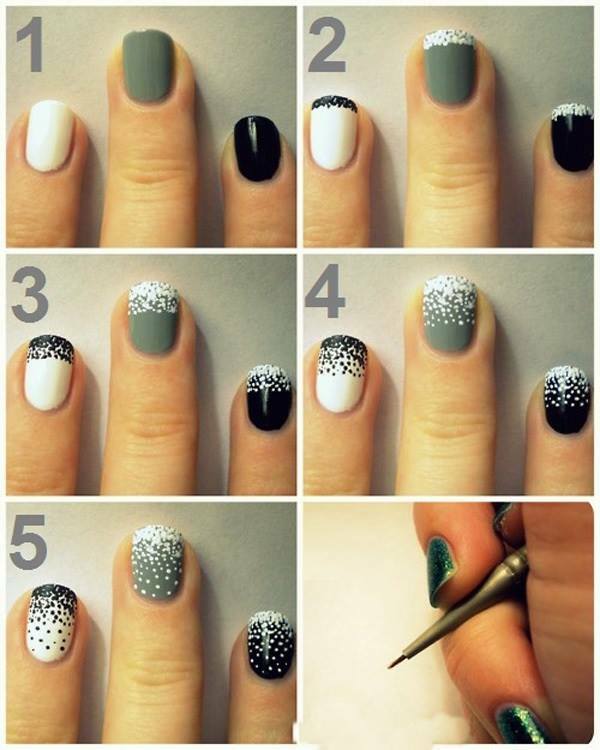 Choose the nail colors choose the idea or design which you’re going to work on. 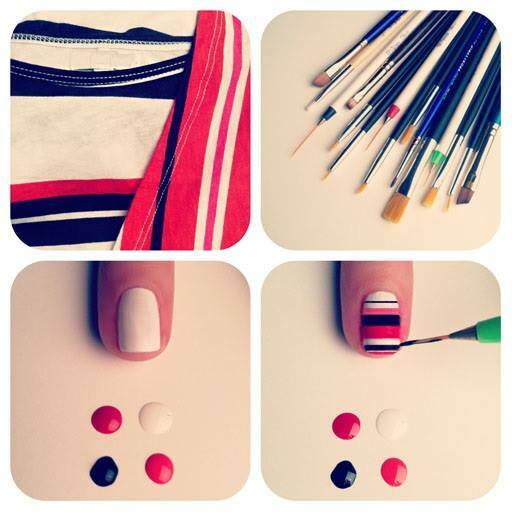 Make a good shape of your nail coat it with paint you want to appear at base of your design and let it dry. Okay that’s where the differentiated techniques are considered. Well, the techniques depend on the design more than anything else and then on your comfort. If you’re good in drawing and have a steady hand; you’ll go fine while making patterns and shapes using tin faced brushes or sticks. 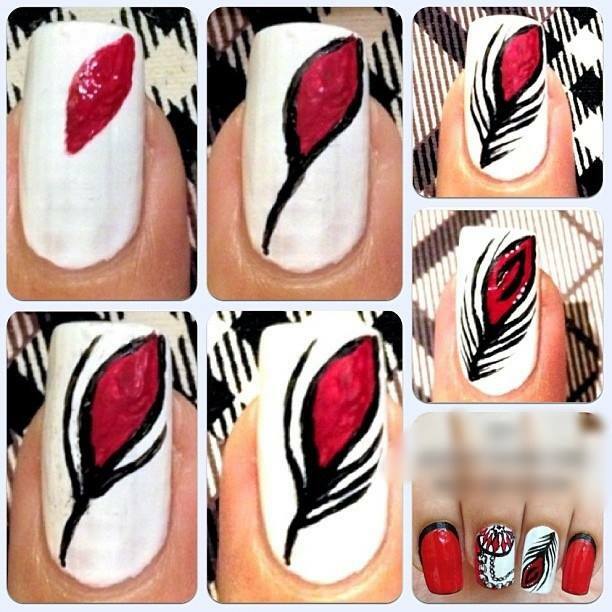 So just take a thin brush and dipping it in the 2nd nail-paint, draw the desired pattern. And if you don’t have an expert hand; you better continue with the scotch tape tool or make the abstract patterns using water and foam etc. Now after you base coat, the next thing is to cover the area you don’t want to be coated with your next color through scotch tape and apply the next colour. 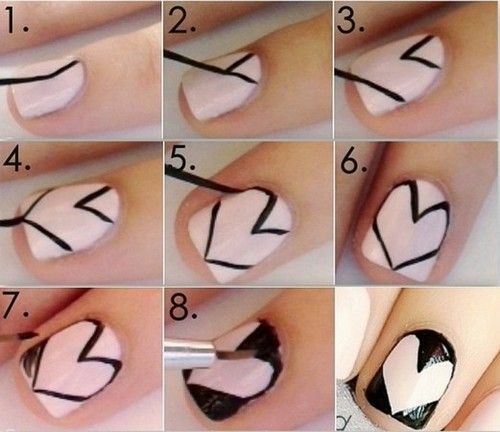 After it dries, pull of the tape and your nail art is done! 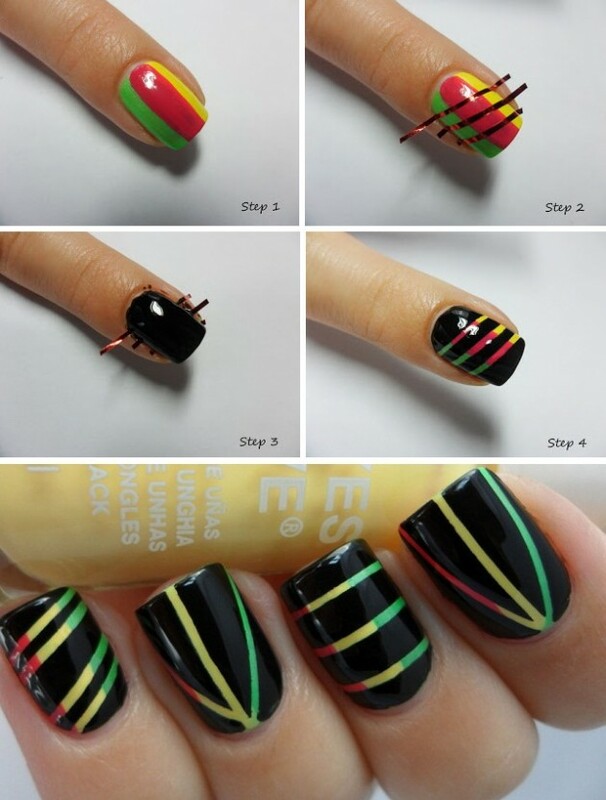 Another way is to cut out the desired shape in tape and then stick it on the nail. Now apply the 2nd nail color. Stop! Don’t be so hastened, wait for it to settle over your base and then pull off the tape. Look what a shape you’ve just made. One more technique is to use foam. This is specially used when we work with glitters. 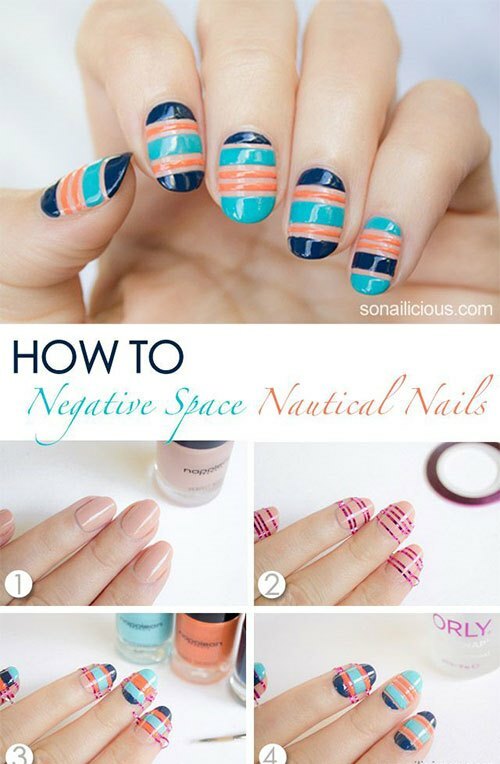 What you have to do is to grab a clean piece of foam and apply a little amount of nail color on its corner. 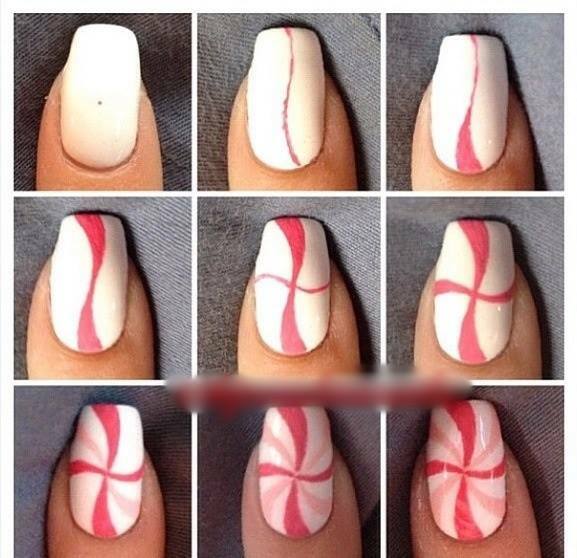 Then tap this on your nail lightly. You can add multiple colors using this way. 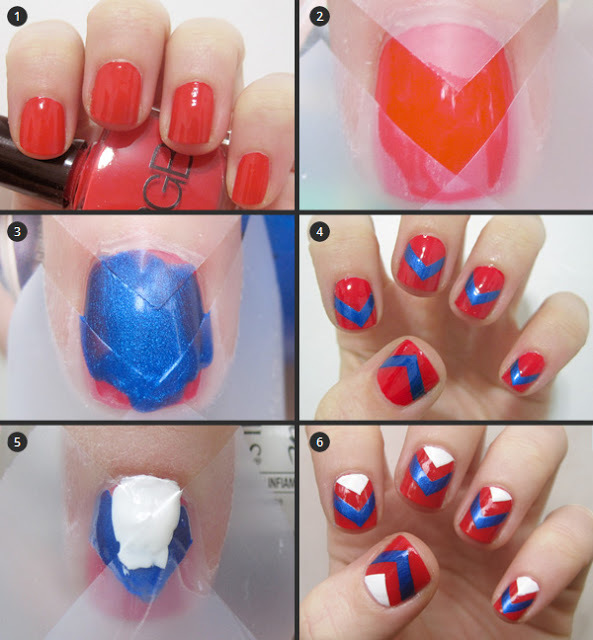 One way for creating abstract patterns is to have some water in bowl, and add a drop of nail polish in it. Take a toothpick and make some pattern of that drop. Add another drop and repeat the same thing. Now dip your finger into it and form a whirl. 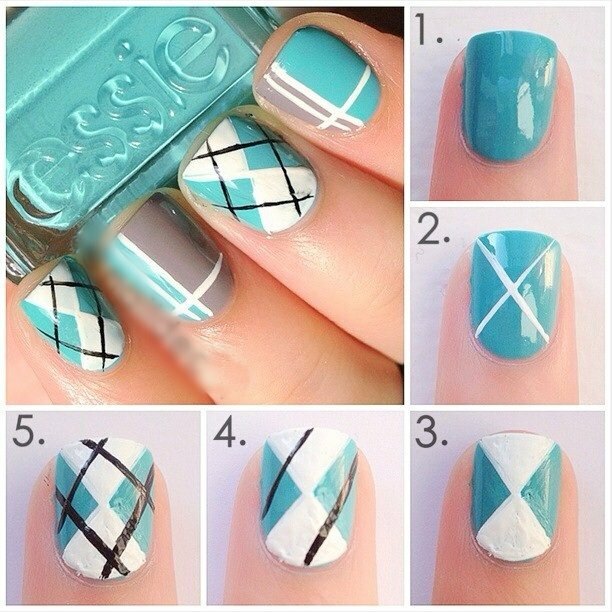 Now the pattern is on your nail.Clean the sides of finger. 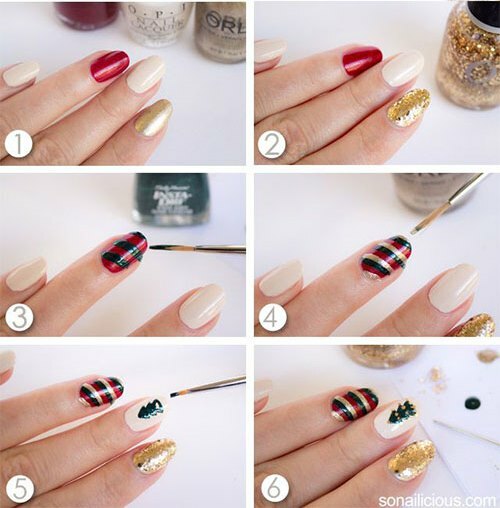 For the last and final touch of every nail art; apply shiner for a smooth and glowing look of the design. Moreover you can use stickers and stones to beautify the design. some ideas for the designs are well exhibited in the images of this post. 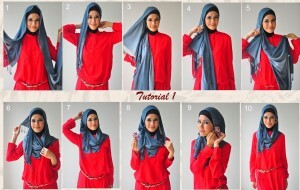 Have a look on the image gallery posted below and get inspired by the latest designs & patterns. 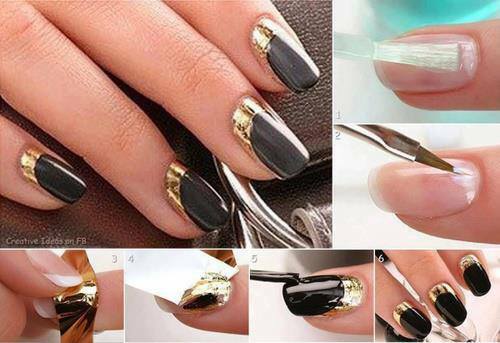 Enjoy classy manicures at home!